We offers open source content management system development solutions to all kind of organizations including business clients, individual bloggers, social media web sites, web site designers, web developers. To grow your web site, you have to reduce your dependence on the programmer or the web developer to manage content like to edit, upload or delete, as the world moves towards a more collaborative form of content generation. How much speed your web site replicate the proper content for the appropriate people and allow them to place their own suggestions and content describes your website, and will carry on doing so in the future too. You can leverage open source web content management systems to professionally handle content on your live web site or local web site. Many open source CMS are liberally accessible to download, but it needs to modify and improve them so that they can be made appropriate for your necessities. Quick Improvement of collaborative, social media websites. Decrease dependence on web developers for daily tasks related to content. You can change features and themes in a click of a button. Build a strong information architecture. To publish web content learning curve will be shorten. Security level of content will be stronger. You can have the facility to change or restructure the website when ever you want. We specialized to build custom web based CMS using word press, Joomla and several other applications. 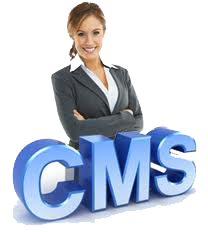 We can do all kind of work from template integration to custom component development for these CMS web applications. We have implemented CMS for hundreds of clients of different industries; our web developer team realizes the unique features, pros and cons of the popular open source CMS technologies. After Getting and understanding requirements of clients we suggest solution which will meet your necessities completely. We offer open source CMS development & open source CMS customization which includes word press development, joomla development, word press customization, joomla customization, word press design integration.